Donald Trump hailed 'a historic day' for Republicans in the American mid-term elections and became embroiled in an extraordinary confrontation with a CNN reporter at his press conference today. 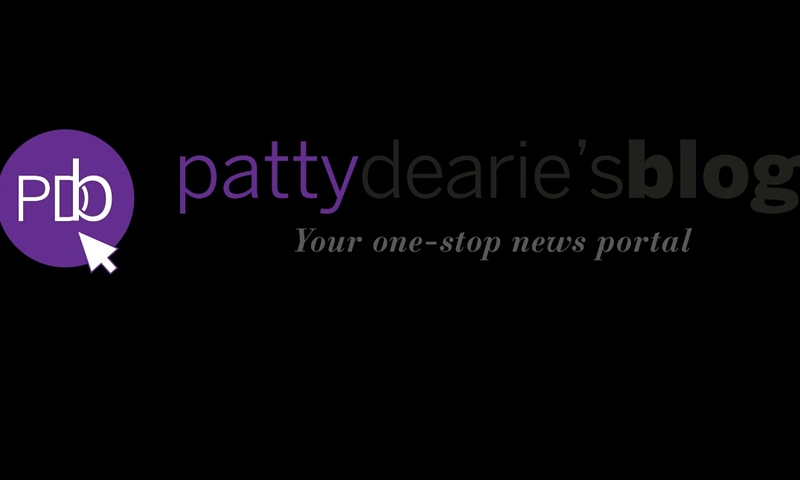 Democrats won back control of the House of Representatives, and are projected to win 238 seats to the Republicans 197 seats - with Republicans projected to retain control of the Senate and increase their majority to 54 seats. 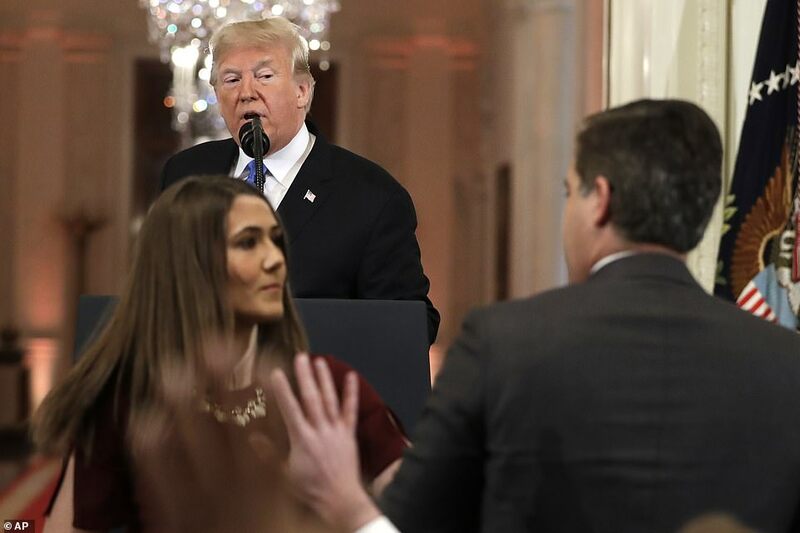 Acosta attempted to ask a further question that was denied to him before him and a White House Aide then got into a strange fight over the microphone. The room went temporarily silent before another question from a reporter was taken who defended Acosta describing him as 'diligent'. 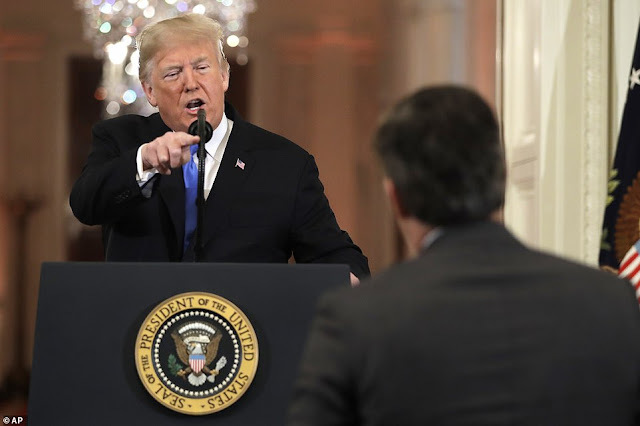 President Trump shot back at the reporter he 'wasn't a big fan of his either' to laughter from the room, before Acosta stood up again and started talking to the President.